Also available at B&N and KOBO. Kelly Sandoval, Amanda Kespohl, L.S. Johnson, Pat Flewwelling, Gabriel F. Cuellar, Randall G. Arnold, Michael Leonberger, V. F. LeSann, Tamsin Showbrook, Simon Kewin, Cat McDonald, Sandra Wickham, K.T. Ivanrest, Adam L. Bealby, Eliza Chan, and Tabitha Lord. These siren songs will both exemplify and defy your expectations. Also available on Amazon, B&N, and KOBO. Click here to read Quest Nine at Electric Athenaeum Online. I'm the managing editor for the Inkitt Writer's Blog. If you're an aspiring writer looking for some good advice, check us out! We're six fun women, and all we want to do is read! Book Club Babble is a place for busy people who love books. We recommend and review books, host discussions, interview authors, and discuss the art of reading and writing. I'm a partner and senior writer for BCB. Project 3.8 is a pediatric cancer awareness campaign. The traveling photo exhibit by Robyn Ivy benefits the Dorian J. Murray Foundation, supporting programs for kids with cancer and pediatric cancer research. My interviews with these local families appear on the Meet The Families section of the website. 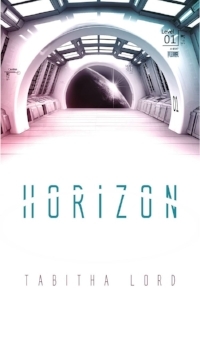 I'm working on the third book in the HORIZON series. Stay tuned for updates! If you'd like to schedule a book club visit, signing, or speaking engagement, please feel free to contact me.